Small and fast PDF Reader without installation. Settings of installed FoxitReader should be preserved. This seems to download version 5.x, not 6.x. You are right, download link has been changed. Hi Bernat, now is possible to change language (ex: lang\it_it\mts_lang_it_it.xml). Download page is http://languages.foxitsoftware.com/?proid=24 but integration in your version seems to not work properly. Now Foxit Updater downloads language files, so it's needed (or a modified configuration file is needed). Thanks for your work, bye. Online installer updated to multilingual. I am able to change the language to Chinese from File-->Preferences-->Language option. But it will change back to English in next start. However when I update the PortableAppS.com version to 6.1.1.1031 it can retain the changes. Thanks for the update but changes still can not be retained. You are right, I compiled bad script. Now work correctly. thank you. I need that for reducing strain on the eye and for night mode reading.. This is a bug of program itself. Foxit will take it when opening but reset to 0 when saving. Go back to previous version or wait the next. 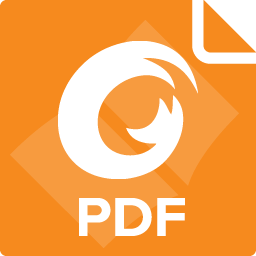 "Foxit Reader has been opened by the following app without a valid signature. This may indicate a security issue". So I check "Remember your choice for this application" but the next time the program starts, I get the same message again. Is there a way to fix it? I can't fix it and I think that the only way is to buy a digital signature for my launchers and I will never do it. Many thanks for your help Little Boy! I have a question regarding portableapps created from from Vmware Thinapp....Can this be converted into nsis friendly Portable Apps (paf) format? If not is it possible to upgrade portable software created with Vmware Thinapp...For example in the paf format i can simply extract new version's installer and replace extracted content with contents of AppnamePotable/App/Appname folder...? If no solution any workaround/alternative? No they can't be converted into "paf" format. If you created yourself the portable program with ThinApp, you can update the program files and recompile. If you downloaded the virtualized program on the web, you can't. Today I downloaded latest version but when I start the program it opens non of my PDF files. Right click on a PDF file and select which program to open the file (Foxit), the program starts but shows just the program with a gray windows. But when I start Foxit and open a file within the program it works. You are right: installer updated. Of course you have to associate pdf files to launcher (FoxitReaderPortable.exe). For a reason I don't remember the launcher used a shortcut as intermediate and didn't pass parameters.